Get your logo on Koozie Camo Lunch Coolers as promotional items. Apps are employee gifts, sporting events or promotional products. mesh can holder, adjustable shoulder strap, & carry handle. Overall size is 11 wide x 8 1/4 h x 7 1/8 d. Camo Cooler. Frigid Ice Packs, add $.79 each min lots - 36 ice packs. Must order this cooler in lots of 24 units over the min. Price includes a one color imprint on front area 5" w x 3 1/2" h.
setup of $50 and a running charge of $1.38 each unit. 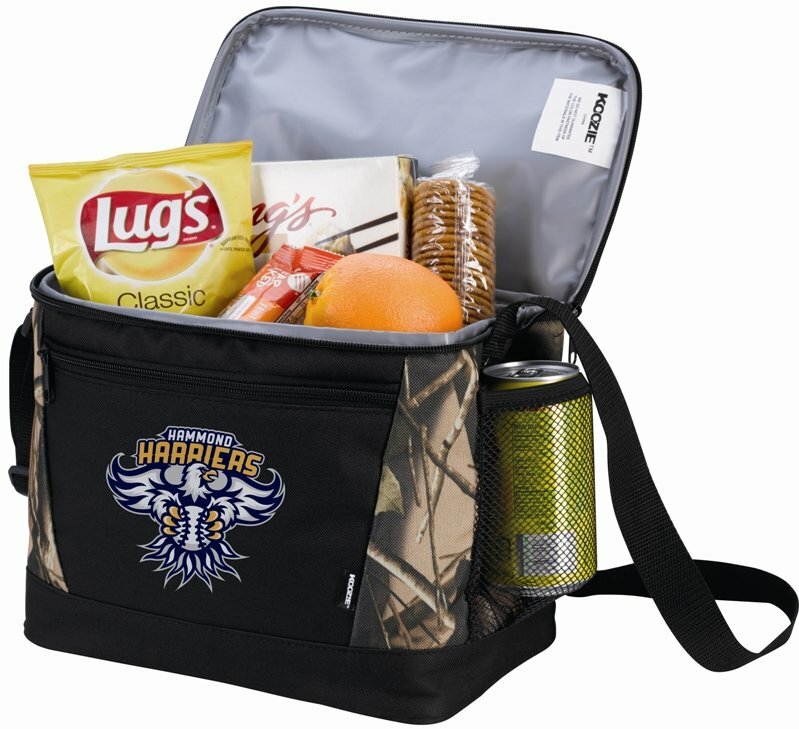 Maximum of four imprint colors for this cooler bag.